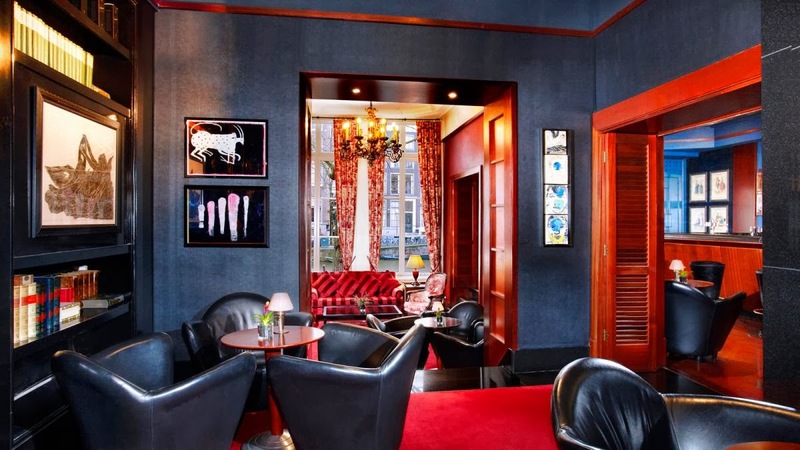 For a fantastic deal at an amazing Amsterdam Hotel, Hotel Pulitzer Amsterdam offers up Exclusive Complimentary Perks when you book your stay across WhataHotel!. Hotel Pulitzer is a gorgeous hotel that is ranked as one of the top 25 hotels in Northern Europe by Conde Nast. 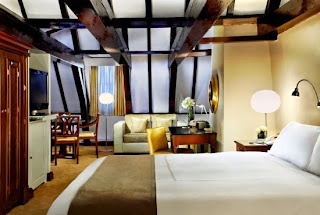 Ideally located by the famed canals in the heart of this iconic city, guests that stay here are able to easily enjoy opulent accommodations and top-notch amenities, as well as all of the landmarks, shopping and restaurants found in this stunning city, for an unforgettable stay. Hotel Pulitzer Amsterdam is a truly unique hotel, comprised of 25 completely restored canal houses from the 17th and 18th century. All of the 230 guest rooms are distinctive, representing a part of Dutch history and culture, as well as boasting stylish decor, picturesque views and modern conveniences. On the ground level of the hotel is the Pulitzer Gym, for those guests that are looking for a superb workout or sit back and relax in the gorgeous Pulitzer Gardens that will prove to be an oasis of peace in the middle of this vibrant city. When hunger strikes, Hotel Pulitzer is ready to entice you with a variety of fabulous dining establishments, all that offer delicious dinner and drink options. And if you plan to conduct business during your time here, the fully-equipped business center is also available to the Pulitzer guests. Although the rooms, restaurants and hotel features are magnificent, a trip to Amsterdam requires an excursion around town, and Hotel Pulitzer Amsterdam aims to please. 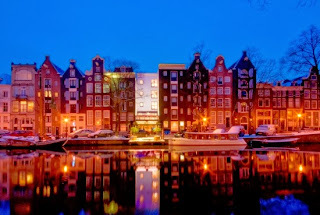 There are options for a waterborne canal tour aboard the hotel's very own classic canal boat, a stroll through one of the art exhibitions in the hotel's art gallery or allow the hotel's concierge to put together your very own limousine tour to see all of the sights that that city and countryside present. If you are searching for a hotel that offers an Authentic Amsterdam experience, get ready to fall in love with Hotel Pulitzer Amsterdam. When booking your trip to Amsterdam with a stay at Hotel Pulitzer Amsterdam, utilize WhataHotel! and discover not only extraordinary service but also Exclusive Complimentary Perks for an unbeatable deal. These perks include upgrades at time of check-in, a daily full breakfast for two, a $100 lunch credit, two drinks in the delightful Pulitzer bar, Internet access and options for early check-in and late check-out. So whether you travel to Amsterdam for business or pleasure, this lovely hotel will fulfill all of your travel needs. Amsterdam awaits with the allure of a big city, but the charm of a small European village.